Finnish Police Association chairman Yrjö Suhonen.File Photo – Lehtikuva. The 5 million euros’ additional budget allocation promised by the Interior Ministry to the police will not cover for the cuts which have targeted the police operations, said the Chair of the Finnish Police Federation, Yrjö Suhonen, in his blog. It is evident from budgetary estimates presentations that the overall appropriations in any case would be smaller compared to 2015, said Suhonen. Therefore, the additional appropriations will not be of great benefit. 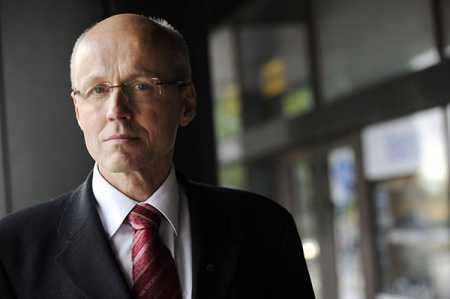 Suhonen told news agency STT that the National Police Board has already began planning for restructuring measures. Police departments last month presented their own restructuring plan with the goal to reduce 202 police officers, Suhonen said. Earlier the police board said it had drafted a plan which would see the reduction of the number of police by hundreds in the near future. According to the Interior Ministry, the police will receive 735 million euros in budget appropria-tions for the year 2017. The 5 million euros was promised for traffic surveillance and prevention of grey economy.